The flute is a family of musical instruments in the woodwind group and the simplest instruments which are used to produce one of the most melodious sounds or music. There are two varieties of flute: transverse, and fipple. The fipple flute is usually played in folk music and is held at the lips like a whistle. Because it enables superior control, variations and embellishments, the transverse variety is preferred in Indian classical music. The Aluminium flute is one of the oldest and simplest musical instruments in the world. Our plastic flutes are highly recommended by professionals, we are making our flutes under the keen observation of professional flute players. Our Indian Aluminium flute bansuri is made with care and quality to fit your most every musical need. 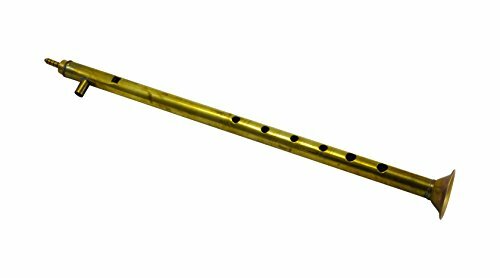 This Indian Bansuri Aluminium flute is easy to play and good for both professionals and beginner. If you have any questions about this product by Royalindia INC, contact us by completing and submitting the form below. If you are looking for a specif part number, please include it with your message.